A simple remix of e, a and t makes three different words: ate, eat and tea. 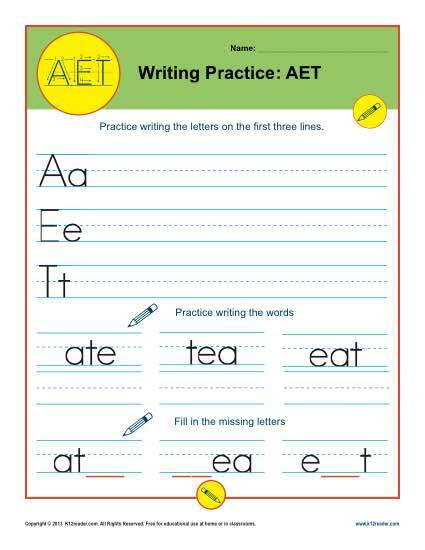 Your youngster can practice these vital letters in this worksheet. Designed as drill for Common Core Standards for kindergarten and 1st grade Literacy, other grade may also use it as needed.